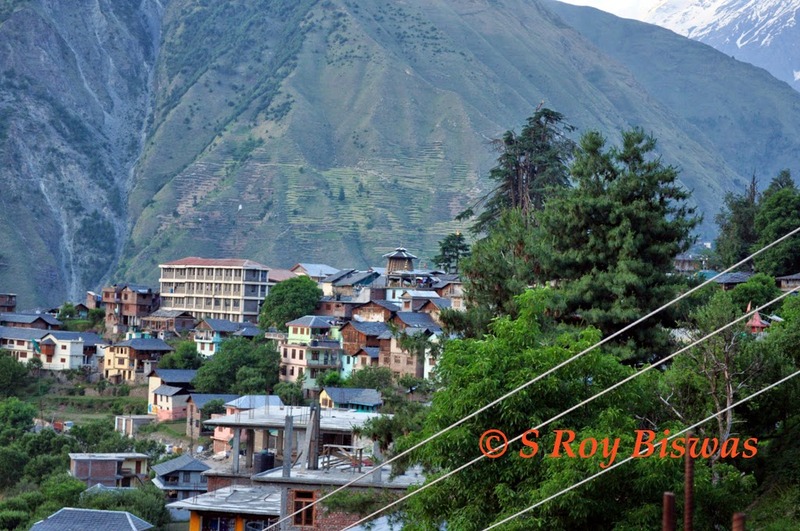 Bharmour, is a nondescript little township that is not very well known beyond Himachal Pradesh, as it is only known for having being associated with the annual pilgrimage of Manimahesh Kaislash Darshan that takes place during the monsoon season and is very well known pilgrimage locally. 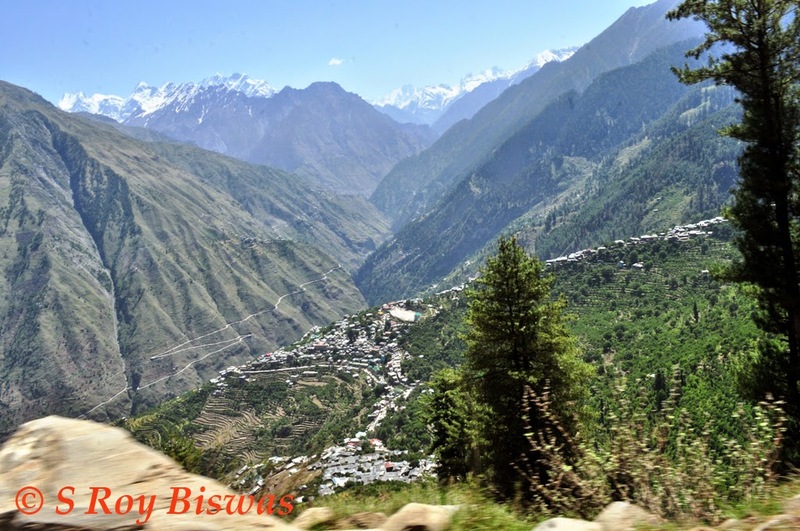 Bharmour traces its history to ancient times when it was known as Brahmpura and was the capital of Chamba state till 920 AD, presently a district in Himachal Pradesh, India. 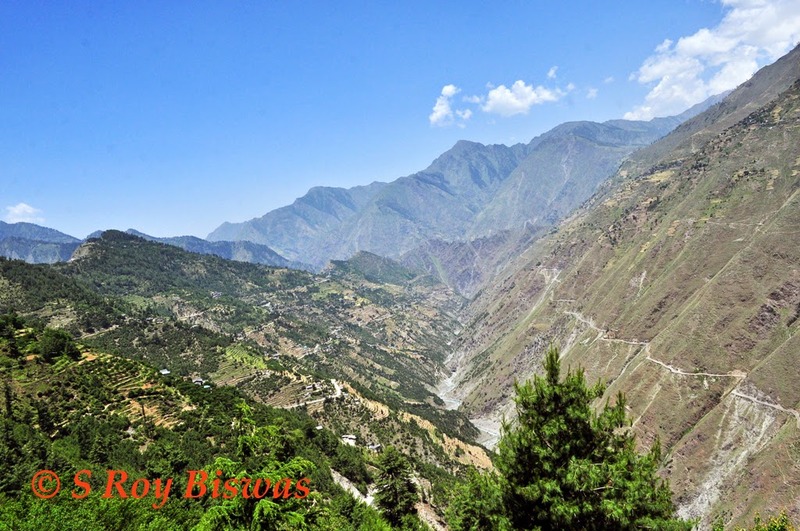 Bharmour is situated on banks of Budhil nullah a mountain stream which is a tributary of Ravi River and perched at an altitude of 2195 meters from sea level 65 Kms. 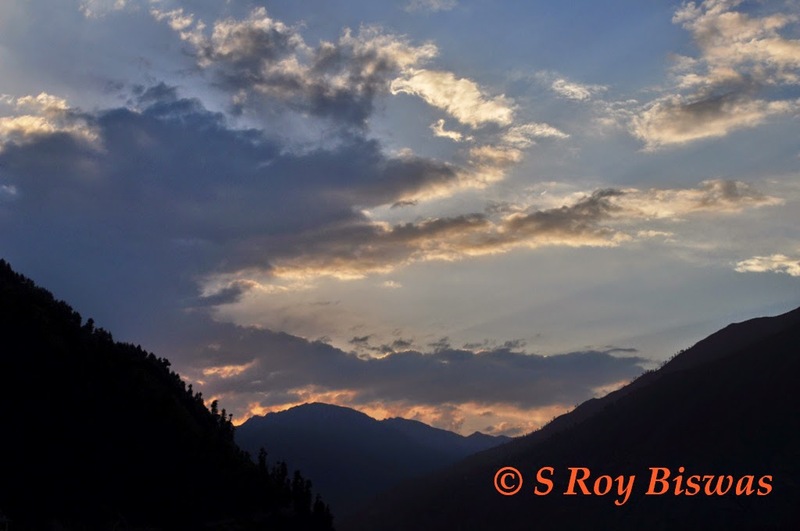 to the south-east of Chamba. 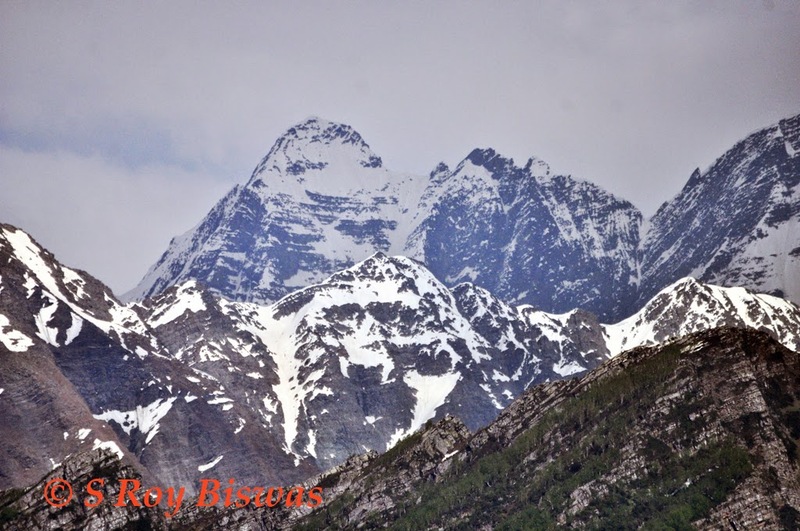 Bharmour is also popular because of its proximity with Manimahesh Lake, Manimahesh Kailash and Chaurasi (84) ancient temples, Bramhani Mata temple, which establishes the glorious past of this hidden town. 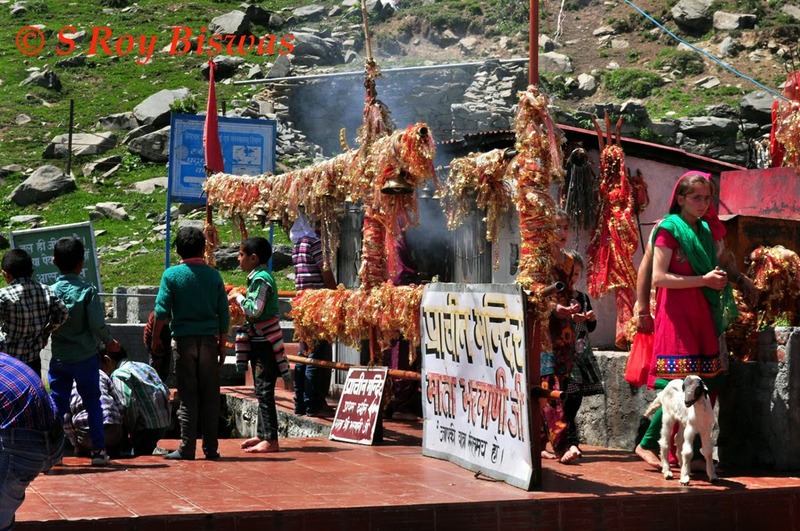 Bharmour is also known as the Abode of Shiva as there are numerous temple dedicated to Lord Shiva in and nearby regions. 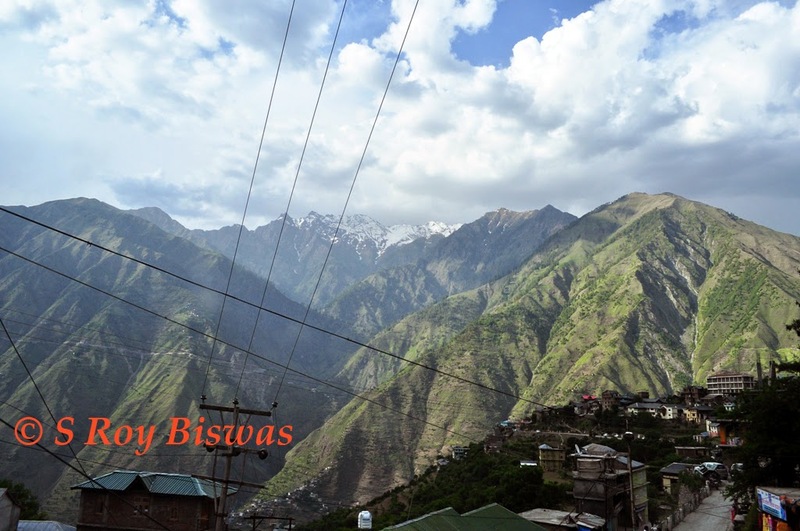 The whole region around Bharmour is considered to be under the control of Lord Shiva, hence is also known as the Shiv Bhumi. This place besides being an aesthetic and scenic beauty is also spiritual in essence. 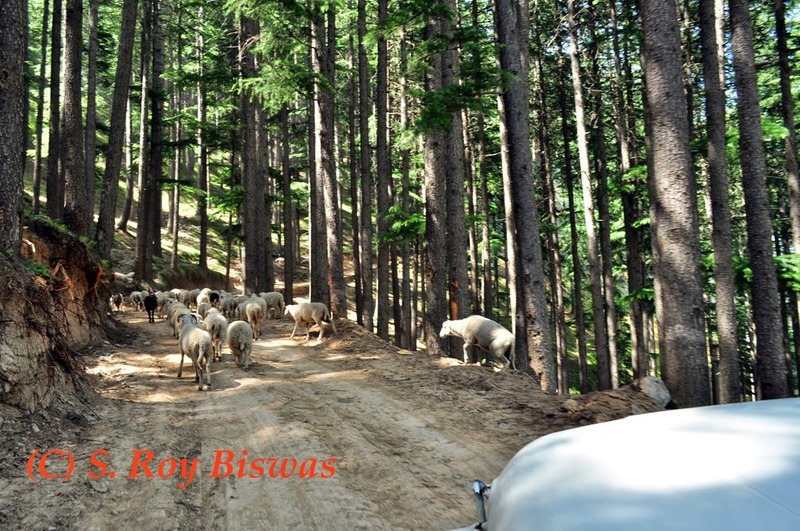 Inhabited by local Gaddies (Shepherd), who reside in the region during the cold winter months and during summers migrate on to the snowy ranges and mountain meadows, which divide Chamba from Kangra and Lauhal & Spiti district, to graze their flocks of sheep & goat. They are semi-nomadic and partial pastoral tribes. 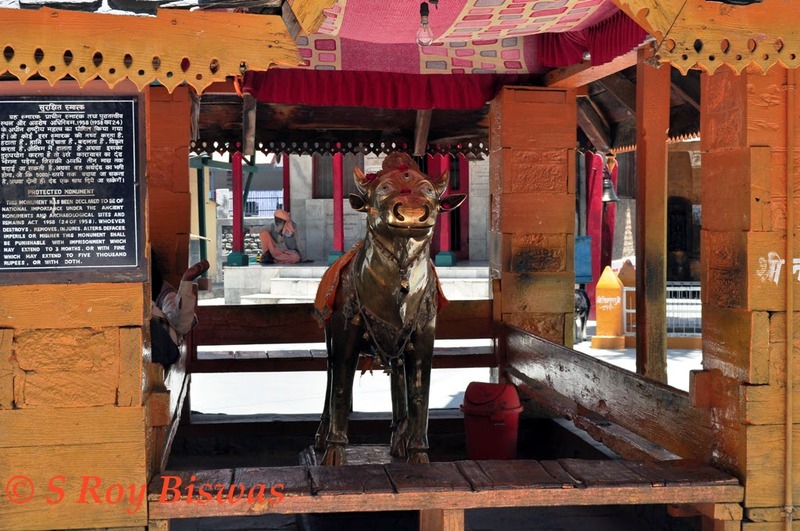 Being the home of the Gaddi tribes, Bharmour is also known as Gadheran in Kangra district. Historically, Gaddis descended from migrants who fled the plains of India for the relative security of the hills during times of trouble. It is thought that the Chauhans Rajputs Gaddies and Brahman Gaddies emigrated to Bharmour from Rajasthan. Most of the other castes of Gaddis are thought to be descended from people who fled to the hills to escape from the Mughal emperor Aurangzeb's persecutions in the 17th century. The history confirms that Gaddi Rajputs migrated from Lahore (Pakistan) to this place in order to avoid religious persecution. One of the most dominant Rajputs 'Lalhal’ migrated from a city named Lalhal near Rawalpindi (now in Pakistan) during the reign of Mughal Emperor Aurangzeb. 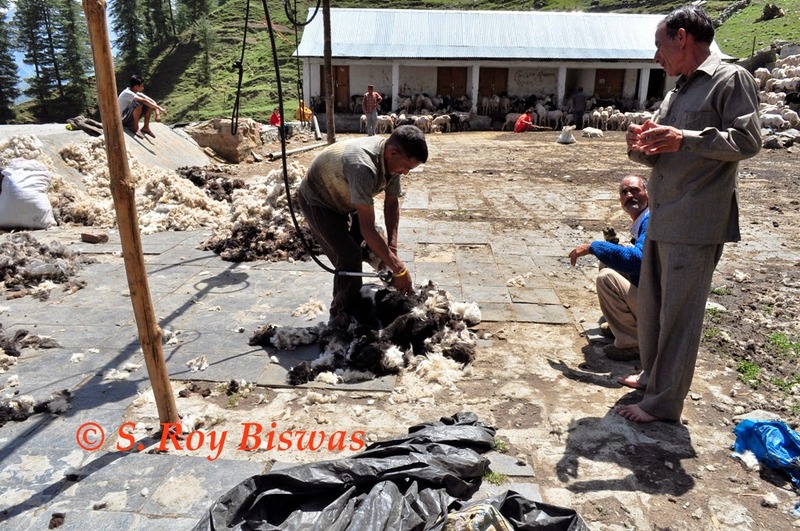 Presently the bulk of the population lives in Bharmour of Chamba district, but a scattered population of this tribe is also found in the adjoining districts of Kangra and Mandi of Himachal Pradesh even in Jammu and Kashmir. 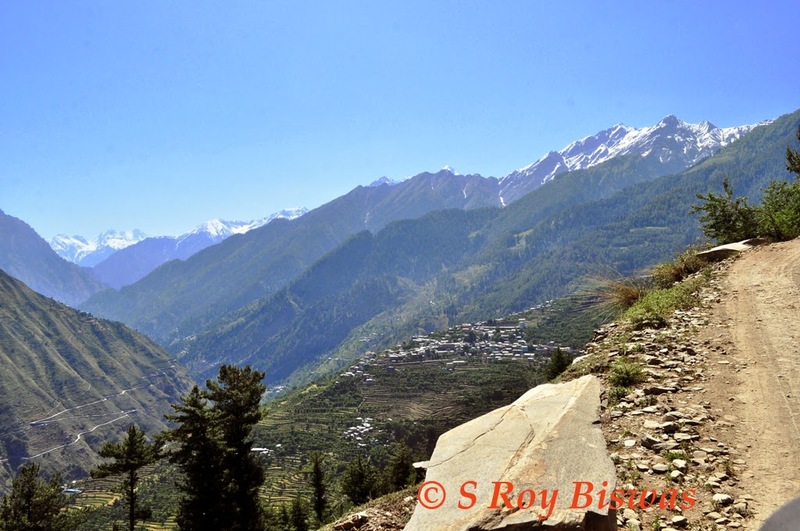 The community occupies the inaccessible, inhospitable terrain in between the Pir-Panjal and Dhauladhar range, between Ravi and Chenab valley. 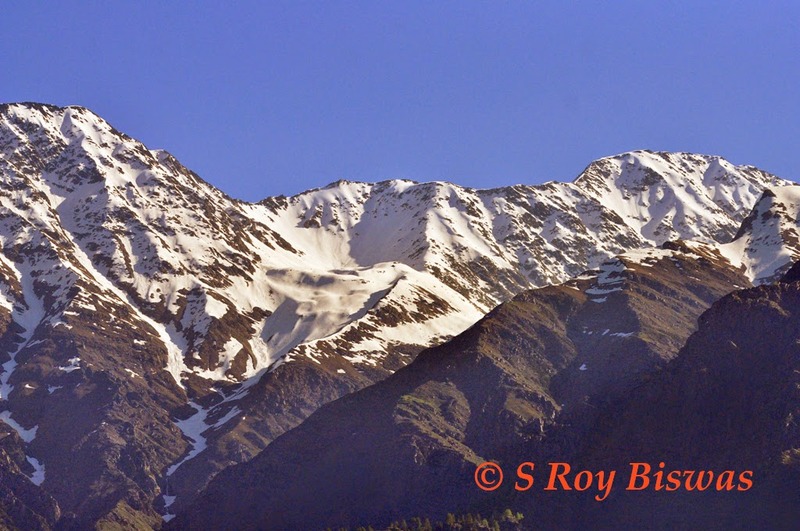 It is a high altitude area and remains cut off most of the time because of heavy snowfall. The language spoken within the community is Bharmouri Gaddi. Taakri was the script used by the ancestors. 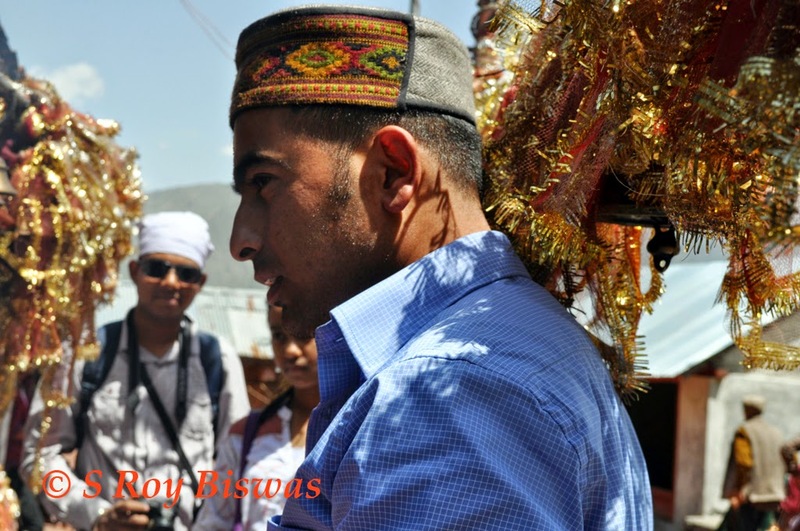 The Gaddi man is identified by typical dress which consists of a Chola, Dora and white turban (Saffa), now replaced by the traditional Chamba topi. The place is also known for its red delicious apples, medicinal herbs, hidden treasures and warm woolen blankets. Nowadays, majority of the Gaddis are into agriculture & Horticulture as primary means of livelihood, but there are groups which till date follow the traditional routes taken by their ancestors. 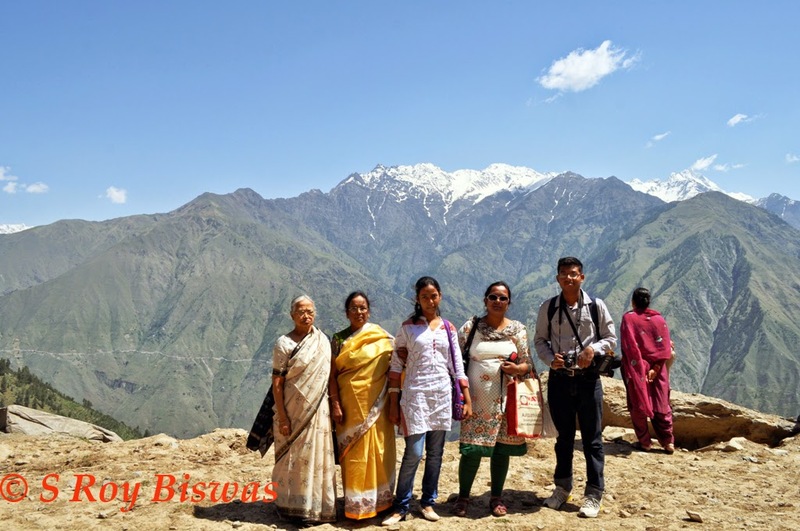 Trekkers from all over India & abroad make it to this destination to trek across High Mountain passes like Kugti Pass, Chobia Pass, Kalischo Pass etc. We had reached Bharmour in the evening and due to total lack of professionalism on part of the Hotel owners of ‘Hotel Bharmour View’, who had not passed on the information regarding my booking for three nights to the servants stationed at the Hotel, despite having paid in advance and regular rates, although same are negotiable during lean periods, no rooms were ready and two rooms were hastily readied. The rooms were having some defect or the other, which the two hotel boys namely Anoop & Bipan tried to rectify with all the might. The Television in one of the rooms remained dysfunctional for the entire duration of the stay. 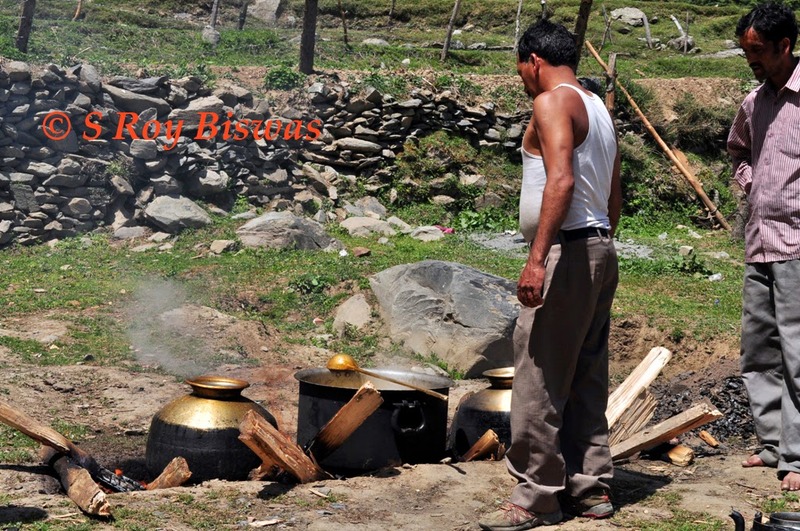 The hotel did not have a dedicated cooking staff as they hire them only during the Manimahesh Yatra duration. It is therefore, advisable that in case you are not moving with family, there is no need to pre-book during the lean months and also if advance is paid, it may be done partly only because the threat of shifting to another hotel would do the trick. The website of the Hotel has been prepared in a spectacular manner and the owner’s son Sh. Atul Thakur is a smooth operator, so be aware of his soft speech and demeanor. I however, explored the place and found a small nondescript little eating joint right next to the entry gate of the Hotel, whose food was fresh and wholesome. However, not everything goes against ‘Hotel Bharmour View’ as it is ideally located on the road leading to Bramhani Mata temple and provides for parking space for your vehicle right in from the Hotel, which is otherwise not available in any other hotels in Barmour, like the Chaurasi Hotel. 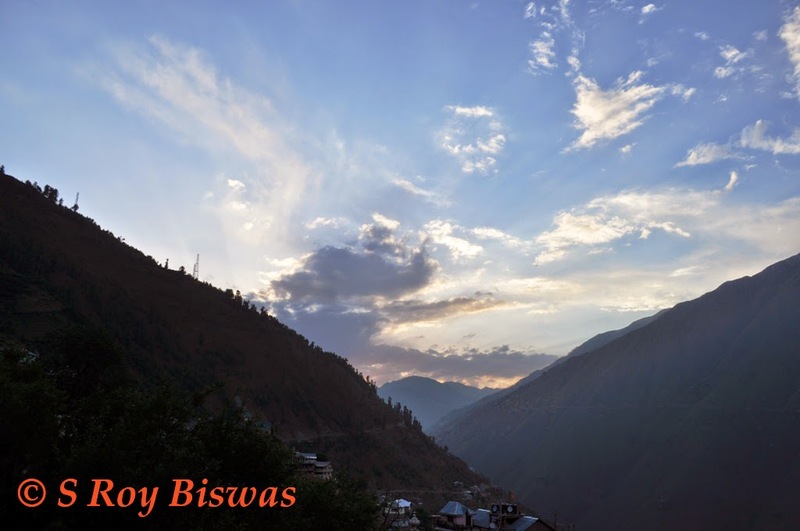 Historically it is said that Emperor Meru Varman, the father of the prince Jaystambh in the Chamba state was the first to settle in Bharmour. He belonged to the ruling family of Ayodhya. 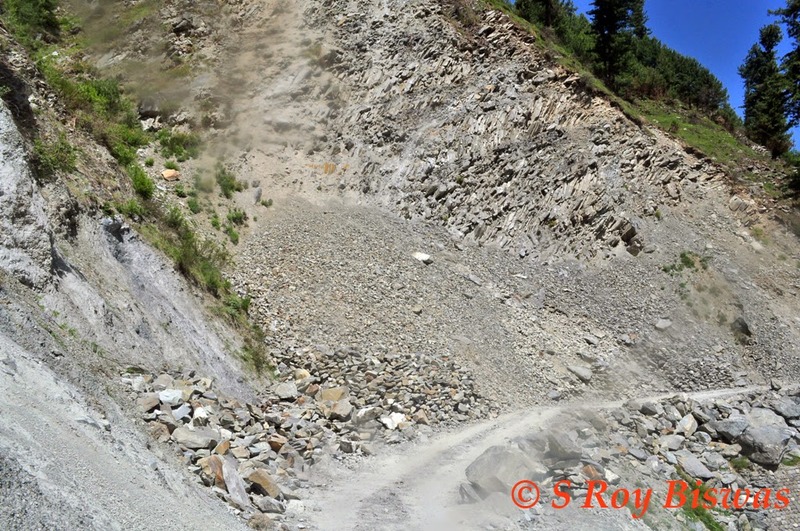 Meru found access to the upper mountainous region through the Ravi valley. In the middle of 6th century he won many a battles and consequently conquered large tracts of lands from Rana clan and founded the town Brahmpura, which he made to as his capital of the newly founded kingdom. 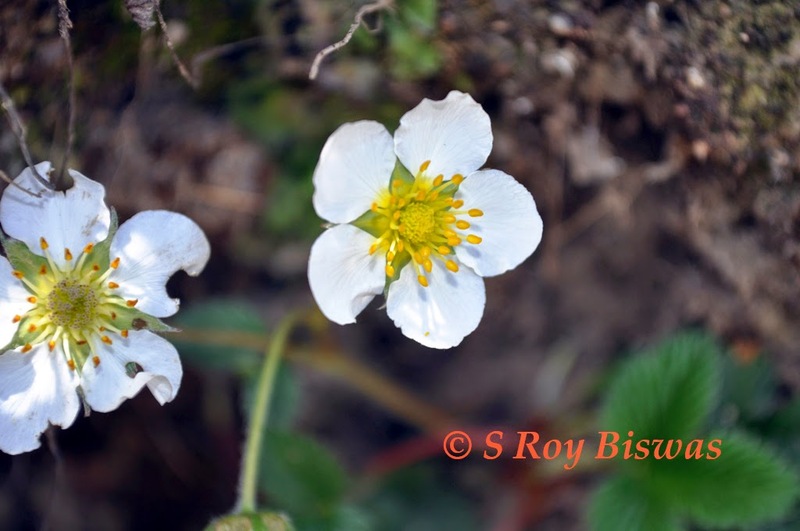 According to another legend, the name Brahmpura was in use even during the earlier times in respect of the more ancient kingdom of Bharmour, which existed in the territories right upto present day Garhwal and Kamaun, and that Emperor Meru Varman named his newly founded kingdom as Brahmpura, with present day Bharmour as his capital. After Meru Varman, the kingdom was ruled by several of his successors till Sahil Varman. 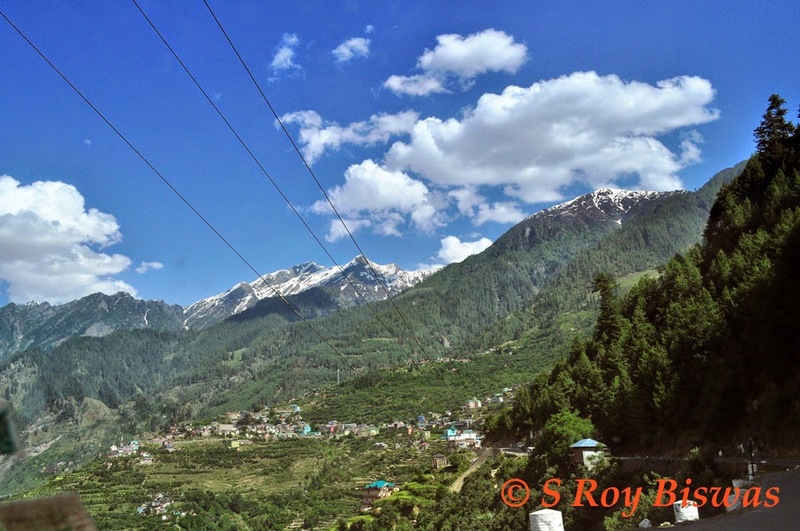 After about ruling the new kingdom for about four hundred years King Sahil Varman also conquered the lower Ravi valley and transferred the capital from Brahmpura to the newly founded capital at Chamba. Thus, the lineage of the Kings & dynasty can be traced back upto 6th Century A.D. 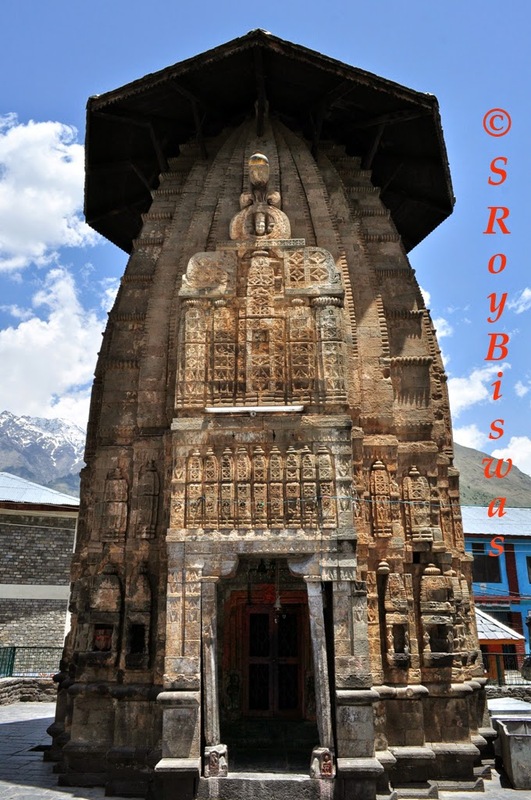 The most important landmark of Bharmour is the Chaurasi (meaning 84 in Hindi) temple complex. There are several legends associated with the Chaurasi temples. The mythological one amongst them states that during the ancient times Goddess Brahmani Devi resided in the region with a beautiful garden in the Chaurasi temple complex. 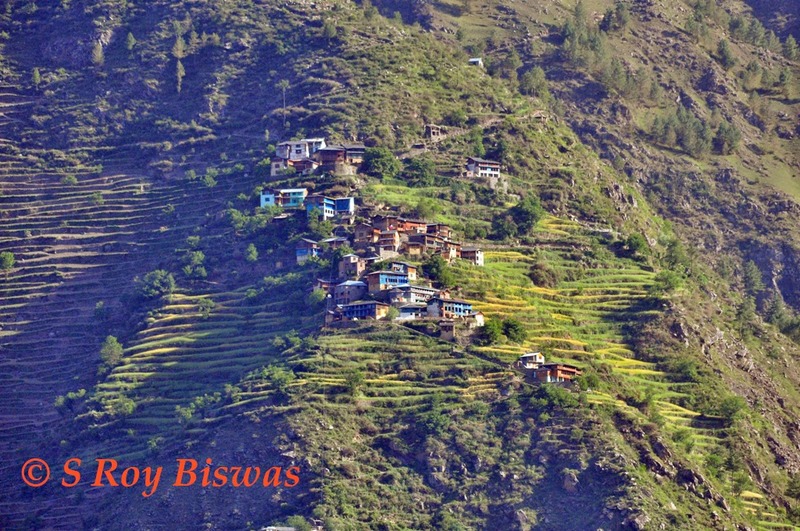 One day when goddess Brahmani Devi went to somewhere, Lord Shiva reached there with his 84 Sidhas while on way to Manimahesh Kailash and rested in the beautiful garden. During the evening, when Goddess Brahmani Devi, the presiding deity of the place returned back, she saw smoke coming out of her beautiful garden from the fires lit by the Sidhas, she got very angry at this kind of trespass and reprimanded them for their audacity and ordered Lord Shiva and the Sidhas to move out of her garden. Shiva implored in all his humility for allowing them to spend a night in her beautiful garden as they were tired and promised to leave first thing in the morning. Goddess Brahmani condescended to the wishes of Lord Shiva and went away to Dughashaar (a place on ridge), so that she would not see the desecration of her Garden or the smoke from fires lit by the Sidhas. In the morning Lord Shiva left for his abode in Manimahesh Kailash leaving behind the 84 sleeping Sidhas, but the 84 Sidhas, who did not want to leave the place, transformed themselves in to 84 Shivlingas. 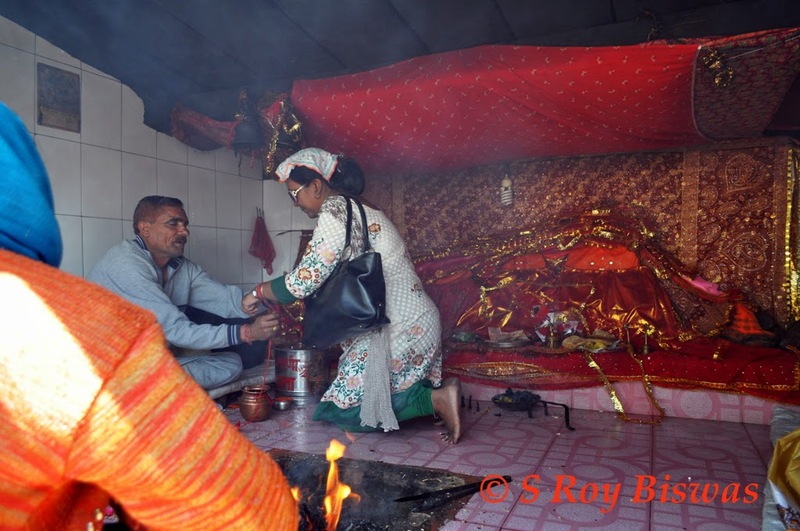 Thereafter, Lord Shiva granted a boon to goddess Brahmani Devi that all persons intending to go on pilgrimage to Manimahesh must have a dip in the holy pool in her temple precincts. Failing this, their pilgrimage would not be acceptable to Lord Shiva. 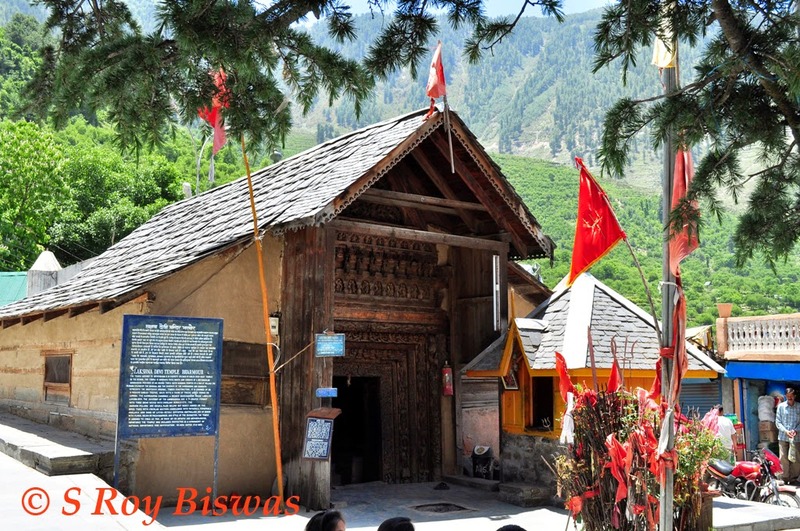 From that day onwards, every visitor intending to embark on pilgrimage of Manimahesh Kailash takes bath in the holy pool in the Brahmani Devis temple complex. 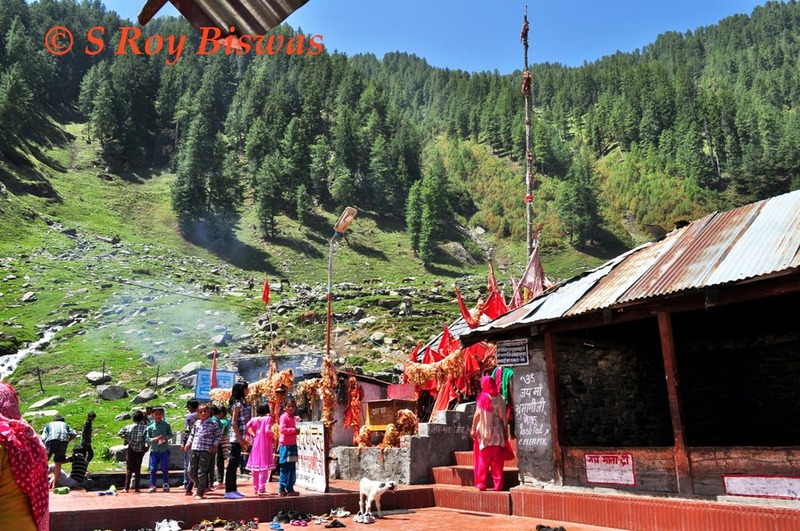 The other legend associated with the Chaurasi temple relates to the event that took place during the 10th century A.D, whereby it is said that 84 Sidhas (holy men) visited Bharmour from Kurushkhetra on way to Manimahesh Kailash. They blessed the ruler Raja Sahil Varman with ten sons and a daughter Champavati, after whom the town of Chamba is said to be named. And while some shrines were already in existence, the Raja had built a series of temples to commemorate the event. These include temples like the Lakhna Devi Temple (made entirely out of handcrafted wood), the Ganesh Temple and the Nar Singh Temple. 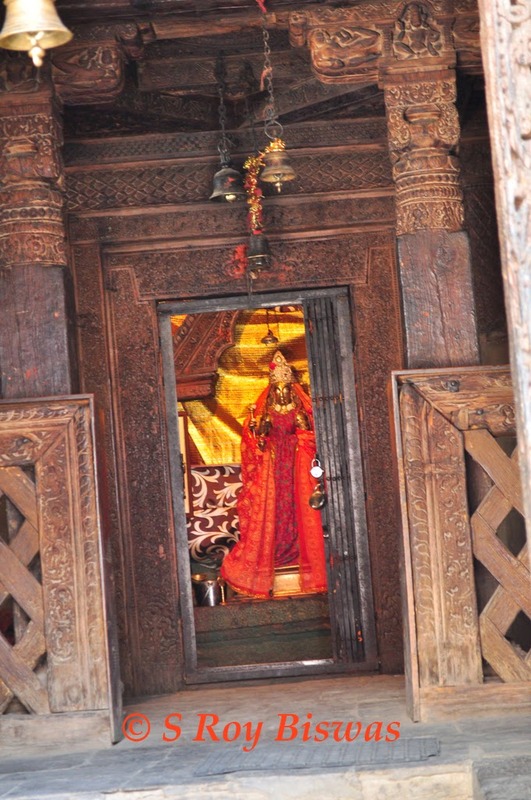 Installed in the sanctum of the Lakhna Devi Temple is an exquisite brass image of the goddess. 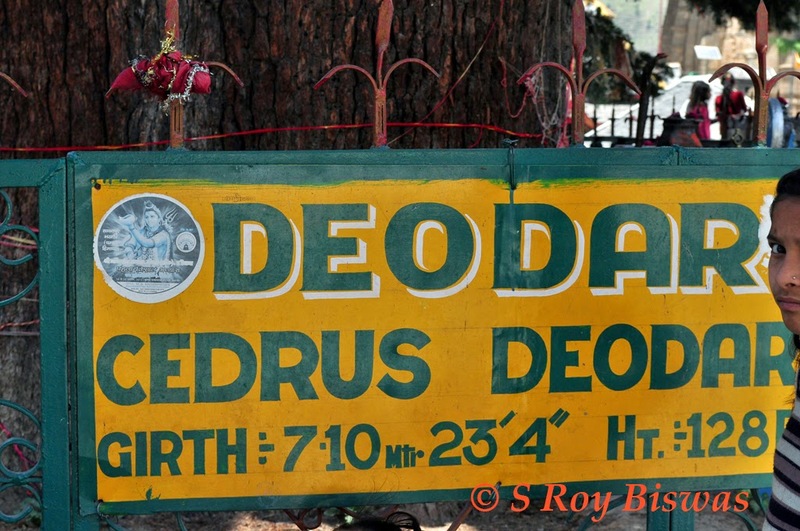 The temple of Lord Dharamraj is also in the Chaurasi and only one in the whole world. 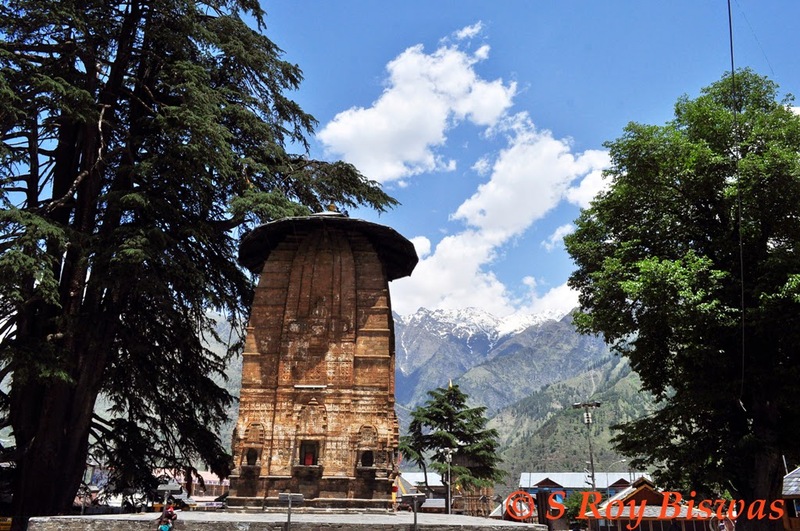 The Chaurasi Temple Complex offers you an aesthetic and mesmerizing view with its placement and its ancient connection, both of which is to felt & seen to behold. The complex is surrounded by numerous schools. The most extraordinary site of the complex is the tallest temple of Manimahesh, which is built in the Shikhara style of architecture. Another temple built in the same style is that of Lord Vishnu cast in his Nar Singh Avatar. 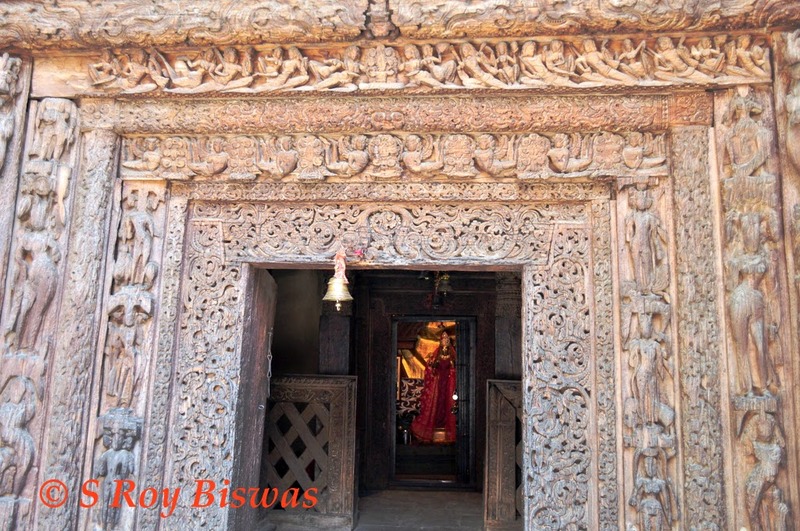 The oldest temple in this complex is the Lakshna Devi temple that dates back to 10th Century AD and built entirely out of wood, with finely sculpted panels and is treat to watch, duly protected by the Archeological Survey of India. This cluster of temples is collectively known as the ‘Chaurasi’. 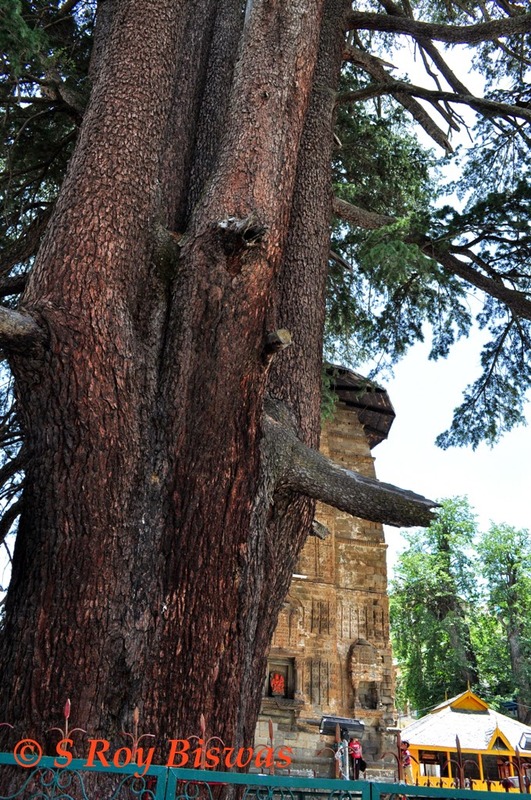 Though of varying architectural designs, period (circa) and origin, these temples are noted for their fine workmanship, not to mention the huge Cedar tree, which too would be a few centuries old that adorns the courtyard of the temple complex. 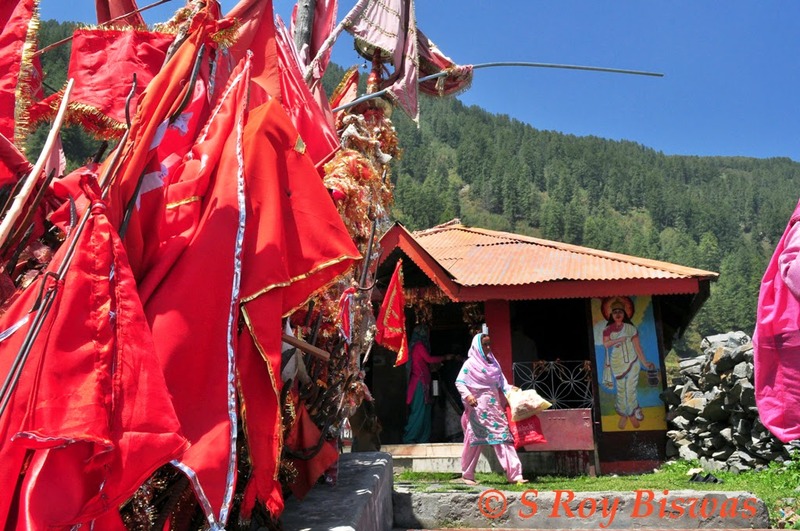 The other main temple of Bharmour is the Brahmani Mata temple that is situated on a ridge above the town. 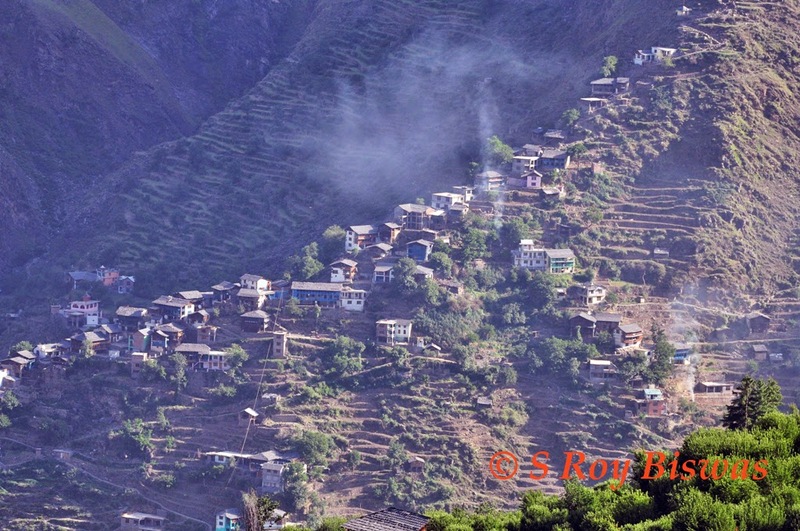 One can either approach it by foot through the Melkota village or take the motorable, rather Jeepable road to the temple that runs precariously along the steep mountain side for 6 Kms. and not one for the faint hearted (check out the video). Bramhani mata temple is situated on the rather flat piece of land with a holy pool of about 20 square meters placed just below Brahmani’s cave. Legend related to the holy pond or pool is that Goddess Brahmani had stolen this holy water from Lord Sandhola Naag from the other side of the ridge. It is said that one day Goddess Brahmani Devi and Goddess Jhakani Devi both went to steal water from Sandhola Nag’s water source. Both the Goddesses stole the water in their respective pots and ran away at the same time, Sandhola Naag saw them immediately and he took his bow arrow and ran after them. But the shrine of Goddess Brahmani Devi being just on the other side of the ridge, she threw her pot filled with water from the top of the ridge toward her shrine, which reached her cave. 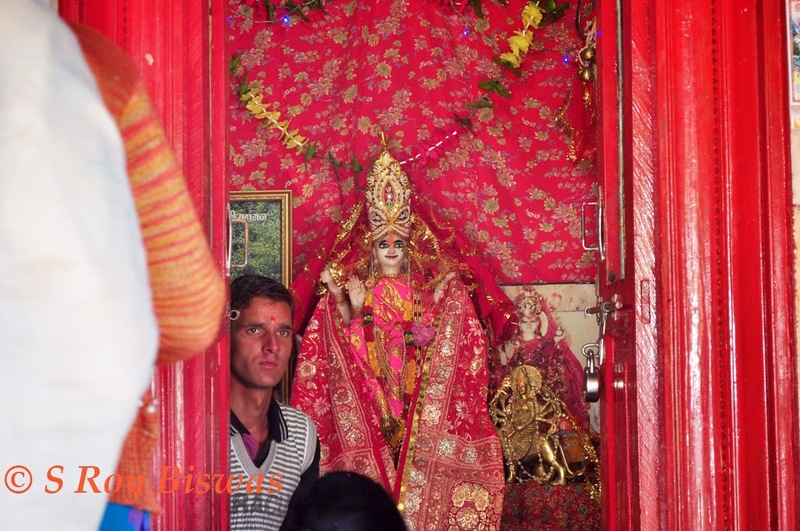 However, on the other hand, the knee of Goddess Jhakani Devi was hit by an arrow shot by Sandhola Naag, as the Goddess Jhakani Devi could not move upto her destination, the water from her pot fell at village Badie and Kardouta, where temples were erected by the villagers to commemorate the event. Whereas, at the spot where the pot of water fell, seven streams of water sprung up from the bottom of the cave, which are still flowing and serving water to Bharmour and also running many flourmills. As narrated earlier, all the pilgrims intending to visit Manimahesh Kailash for pilgrimage have to take a dip in the holy water (now a days only water in sprinkled over the head because of very heavy rush of pilgrims) at Bramhani Mata temple. Nice photos, and lots of informationThanks. "Sh. Atul Thakur is a smooth operator, so be aware of his soft speech and demeanor". Be aware?? Thank you Mr. Biswas! I am sorry you had to wait 10 minutes on your arrival. 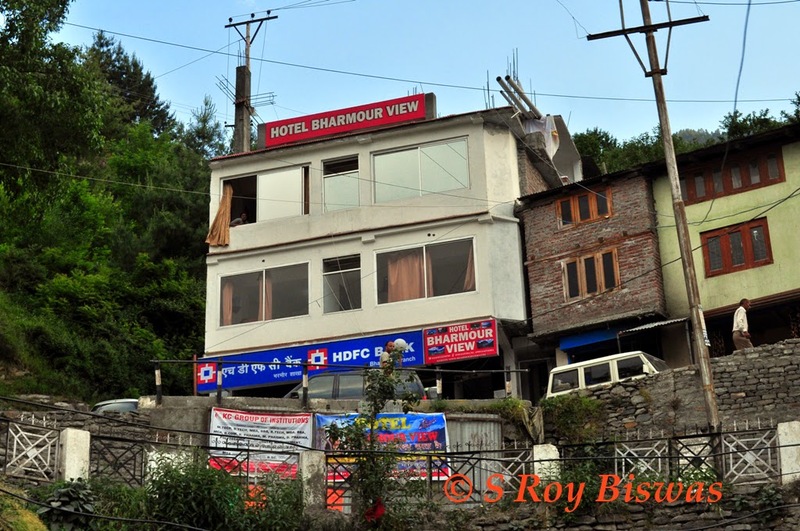 Now hotel has improved with a restaurant on top floor and 3 story parking has been built in front of Hotel Bharmour View. "The actual on site view of the Hotel Bharmour View" has changed too. I am thankful to you and god that nobody has hurt with my soft speech and demeanor as of yet.